School started two weeks ago. Whenever school starts I start. Reflecting, that is. It’s inevitable. The house is suddenly quiet for extended periods of time, and I think, and think, and think. Even while I’m out grocery shopping, volunteering at the school, taking a walk – everywhere. I think it’s because my boys aren’t with me. I think it’s because when I am with them, I am completely, fully with them. Or at least I try to be. So when they return to school in the fall, I have this space in my life. In the past I filled the space with missing them. Don’t get me wrong, I still miss them, but it’s a much healthier kind of missing them. It’s the kind of missing that enjoys the time apart and looks forward to the time together. It’s the kind of missing that makes sure the time apart is used to getting things done so that the time together is used for being together. Being. Simply being. This could mean anything. This could even mean grocery shopping (which we all despise). It’s the moments that count, not what we’re actually doing. There’s being to do at the grocery store just as much as there’s being to do at the beautiful park by the lake. Being is everywhere. Living. In the Moments. Always. Everywhere. Fully in the moments. Living. It has taken me so much practice to get to this point, so many mistakes that I will continue to make. But at least I get it more now than yesterday, and all the yesterdays before that. My boys are growing. And I am so glad. One day closer to being all God intends for them to be. And I get to share this day with them. No matter what fills it. I get to share a lot of the days coming with them. I have already shared almost 4000 days with my older son who just turned ten this summer. What has filled those days? Lots of pain, hurt, sadness and regret. That’s what. But oh no, let’s not stop there. Let’s learn from the bad, leave it in the past and realize that laughter, love and life is what filled most of those 4000 days. I may not have another 4000 with him before he leaves my home, or before he ventures off more and more into his pieces of the world God has given him to minister to in His name. I may not hold his hand through much of the next few thousand, and he may not need me to carry him like I used to. But he’ll still need me to carry him. In a totally different way. In my heart, in my prayers, in faith. The future looks different, awesome, exciting, full of wonder. Full of being. Living. In the moments. With those God gives me to love for however long He has me love them. As I cleaned out closets this summer, I found boxes of cards I kept from the first few days of my son’s lives. When being and surviving where entwined in a blur of feeding, changing and sleeping. Days tucked safely inside my treasure box of motherhood. 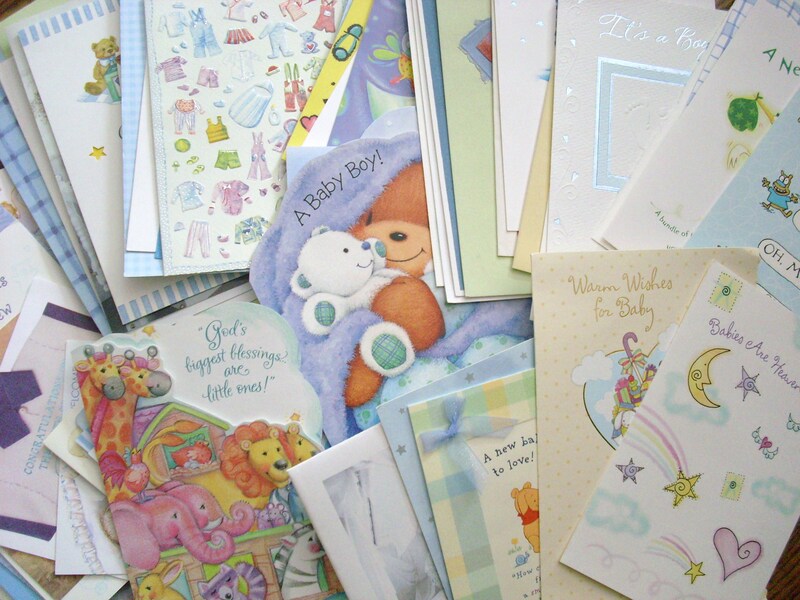 I kept the cards because I love the words – some of the first words given to my boys. Words of blessing for their lives, for our life together as a family. I was finally ready to let go of the cards, and tuck away the words of blessing in my treasure box. I want to record a few of the words given – words about boys and what it means to be a boy – because my boys surely live up to the words. Let’s have a chuckle together shall we? Baby boys are well known for their love of good times, their talent for drama, their heart-stopping climbs, their bold statements, their drive to explore, their creative approach to what crayons are for… so whatever adventures you have with your son, you’ll be thrilled and amused by (almost) every one! Baby boys are wonderful, they’re playful and they’re fun – they know just how to make you smile, no matter what they’ve done… so just enjoy your little boy and watch him learn and grow – and in return he’ll give to you the greatest joys you’ll know! Baby boys come in all shapes and sizes, shy and adventurous, full of surprises, with misshapen halos and mischievous grins, small, grubby faces and sweet, sticky chins. They’ll keep you so busy, and yet all the while, nothing can brighten the world like their smile! To make a little boy, star dust was sprinkled; it settled in a twinkle in his eye. The music of the waves became his laughter. His lips were curved to hold the question: Why? Sinew was used to knit his frame together so his strength could give and take the stresses of life. The storms of time would bend but never break him – he’d grow up strong and unafraid to live. He was given a smile like sunrise to welcome each day with eager joy. This child was made strong and beautiful so all could see that he was indeed a special gift. And these cards were just really nice! There’s a wonder in so many things, in all the joys and gifts life brings, and yet the greatest wonder lies within a newborn’s trusting eyes. Each time you look into your newborn’s eyes, may you see all the wonder of today and all the promise of tomorrow. A baby is… someone precious from the start, bringing joy to every heart, full of wonder, full of fun – giving smiles to everyone. Huggable when wide awake, ready to play patty-cake, lovable when sound asleep, counting tiny baby sheep. Growing taller every day, learning darling things to say. Aren’t you lucky, happy too, having someone sweet and new? It’s said God made children to bring the world joy, through the giggles and laughter of each girl and boy… It’s said God made children to bring the world sharing, pure understanding, kindness, and caring… And especially to show us His peace from above, for it’s said God made children to bring the world love. Next How Is Your Heart?